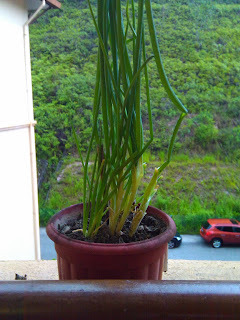 Spring onion are grown from onion. Normally, onion will begin to sprout on its owns if you leave it unused for too long. 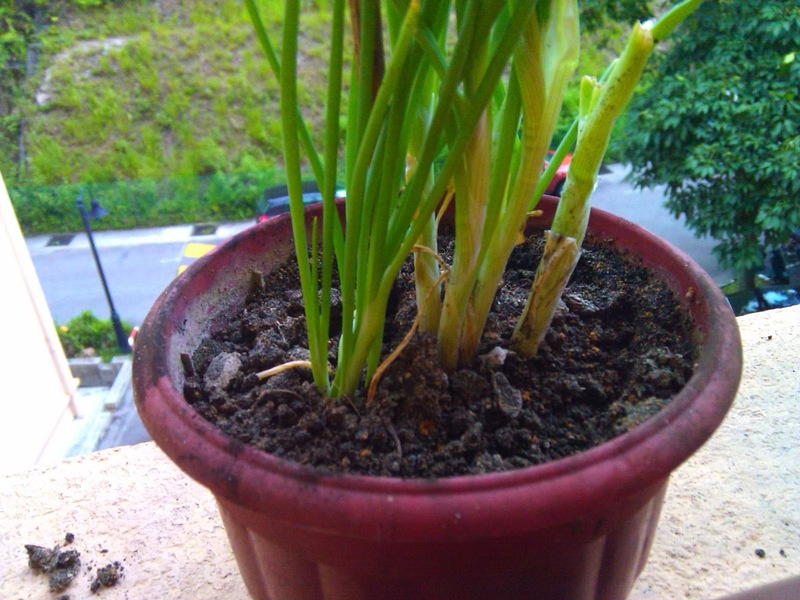 Most of my gardening are done in well drain pot using black soil which I purchase from supermarket. 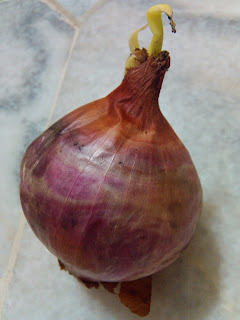 The first step of planting is dig a hole in soiled pot just enough to cover the onion. Cover the bulb well and leave the top showing. 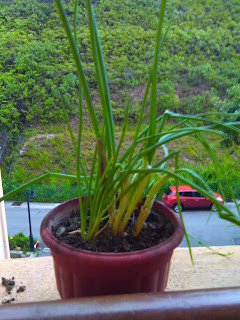 Then, water the plant and place it at good sunlight exposure. After few weeks, you will be able to see the leaves growing. With regularly watering and fertilization, the plant grows very healthy.